This page will be updated frequently as preparations are made for our 2013 show, which is scheduled for August 11-25! The first week will be the entries to our linky party, and the second week will be the voting for viewers' choice awards. Then we will also have random drawings! Our first sponsor has signed on! The Quilt Kit Market! This prize package will go to one lucky Lilypadquilting Pet Show contestant! The Raspberry Rabbits are signing on again for this year! 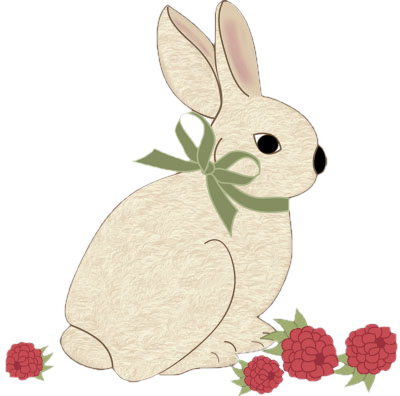 Hannah, Harrington, and their mommy Michelle are providing this cute pair of scissors, plus a $20 e-certificate to spend at the Raspberry Rabbits online store! and Shannon is offering up an adorable bundle of half-yard cuts of these fabrics! Thanks, Shannon! Fat Quarter Shop is providing a $75 gift certificate for one lucky winner! 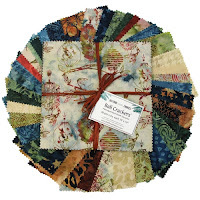 Country Crossroads Quilt Shop in Orange Park, FL, and the Quilt Mice, are offering this adorable fat quarter bundle! 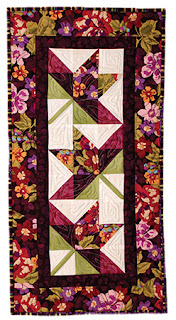 Marcia of Crafty Sewing and Quilting is providing two winners with a copy of this great quilt pattern! 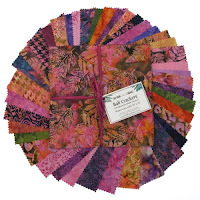 Hoffman Fabrics is a new sponsor, and generously offers prizes for FOUR lucky winners! Abbi May's Fabric store is joining in the fun again this year! A $25 gift certificate is up for grabs! 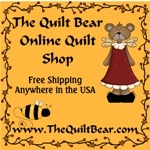 The Quilted Kitty (brick and mortar AND online stores for your enjoyment!) 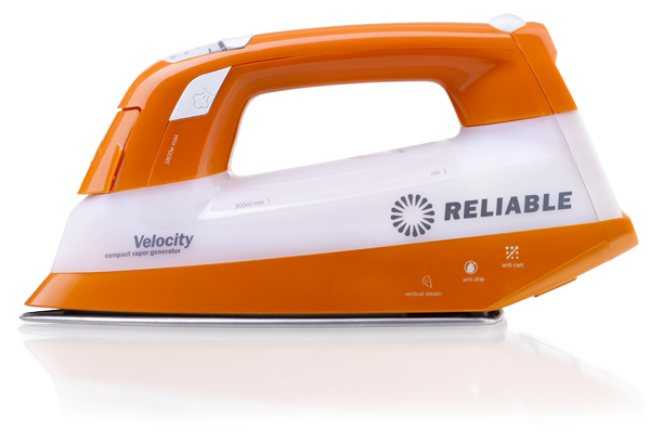 is sponsoring again this year, and offering THREE prizes for some lucky winners! And in addition, each winner will also receive an e-certificate to the store -- either $10, $15, or $20 to spend! 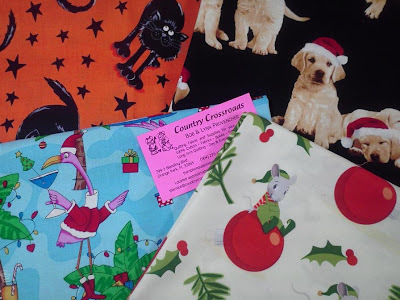 Inchworm Fabrics is sponsoring a Snap Sack for a lucky winner! A Snap Sack is a kit with everything you need to make a lovely project! IHAN (I Have A Notion) online store is providing three prizes! 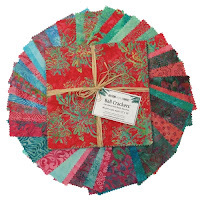 And the third winner will receive this package of a Hoffman Sushi roll, and wonderful Aurifil thread! 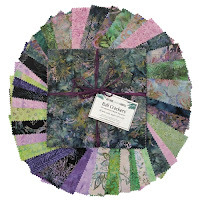 A big Lilypadquilting THANK YOU!!! to all of our wonderful sponsors! Pets on quilts. So fun. 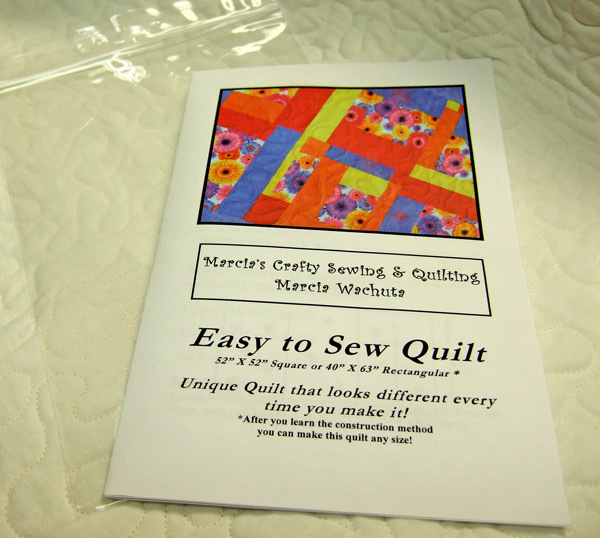 I have quilts and pets. Time to get the camera out. 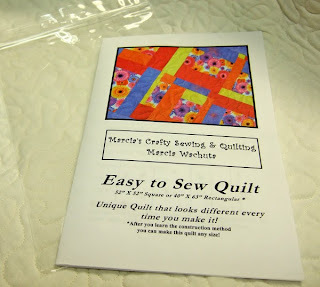 I am keen to participate I am a quilter and dog lover/owner. 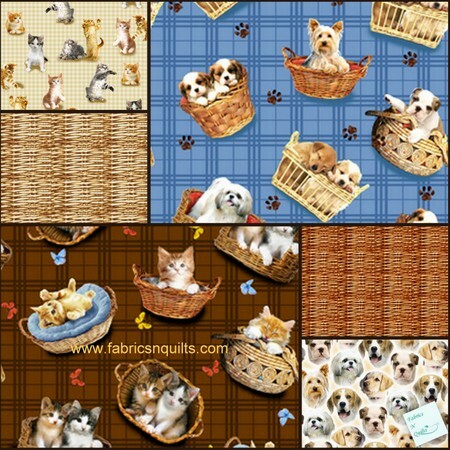 I have wanted to do an applique dog quilt for a while to celebrate how perfect my pooches are! Are there instructions somewhere for participating in this? Sound like such a fun event! Hi, I want to join in the fun but I am unsure of the guidelines. Is there a link to what the rules/guidelines are? I ahve to laugh, even though you wrote out detailed instructions - we are all confused (and alittle bit hopeless) thank you for putting up with us - lol! I'm so excited about this. I had the perfect quilt just waiting for this. My puppies were even kind enough to sit still for at least 30 seconds so I could take their picture. Thank you for hosting. CJ & I linked up. We're number 80.